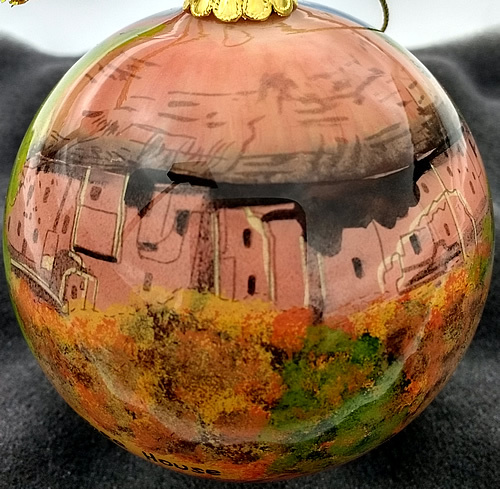 Hand painted 2.5" glass ornaments featuring various designs inspired by classic, Mesa Verde Black-on-White pottery, geometric motifs. 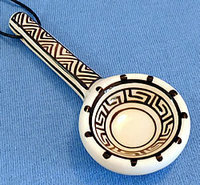 Each ornament is unique and due to the handmade nature of these products, variations do occur. Ornaments are sold individually. Designs pictured above are currently in stock, although availability may be limited. 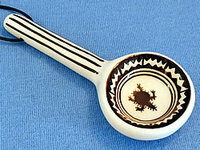 Plese allow us to select a design for you as not all designs, or different designs, may be in stock. Feel free to use the comment section on the order form to indicate any design preference you may have and we will do our best to accommodate. Please indicate which number for the Limited Edition 2018 Christmas (shown below) designs. If no comment is left we will select designs for you. 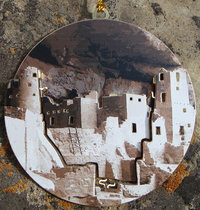 This beautiful three-dimensional brass ornament crafted by The Charleston Mint depicts the towers of Cliff Palace in fine detail. Packaged in a black gift box with interpretive text. 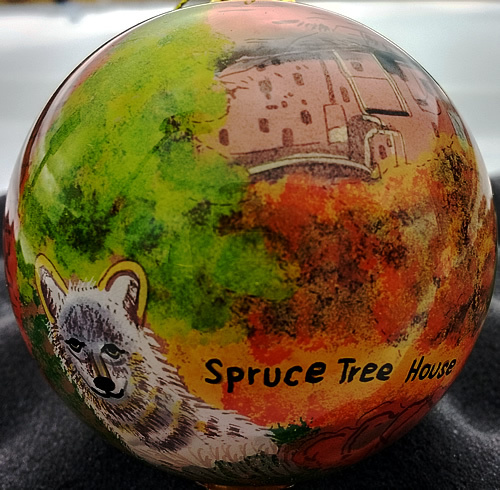 Hand painted 2.5" glass ornaments featuring Spruce Tree House, Balcony House, collared lizards and a coyote! 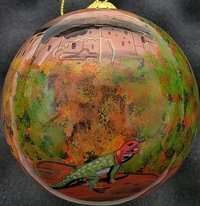 These ornaments are hand painted on the interior with incredible detail and color. A must have for your ornament collection.